Makes 2 generous servings. 1. Combine first six ingredients in processor and blend to coarse puree. Blend in cheese using on/off turns. Season to taste with salt and pepper. 2. Cook linguine in large pot of boiling, salted water until just tender but still firm to bite. Drain well. Return to same pot. 3. 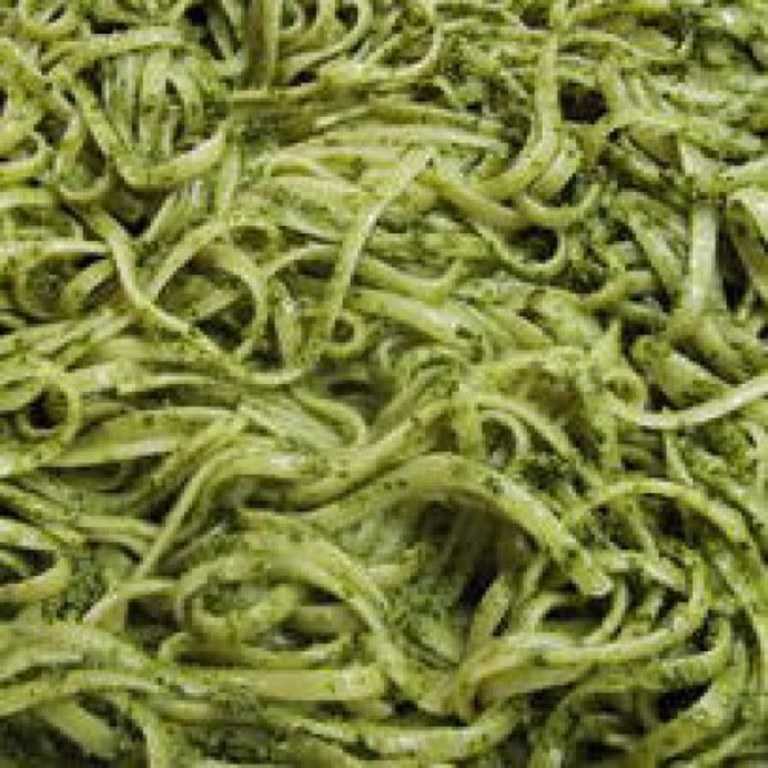 Add pesto sauce and toss to coat pasta evenly. Transfer to large platter. 4. Garnish with chopped pine nuts.